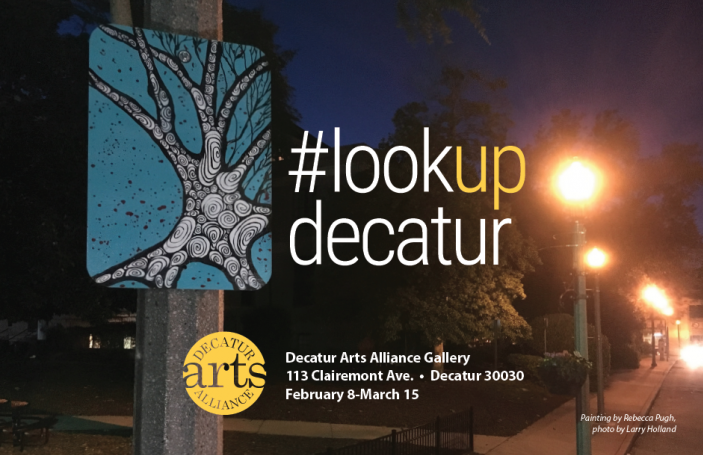 #lookupdecatur is a city-wide installation that encourages us to look up from our screens, engage with the world, and find art in unexpected places. 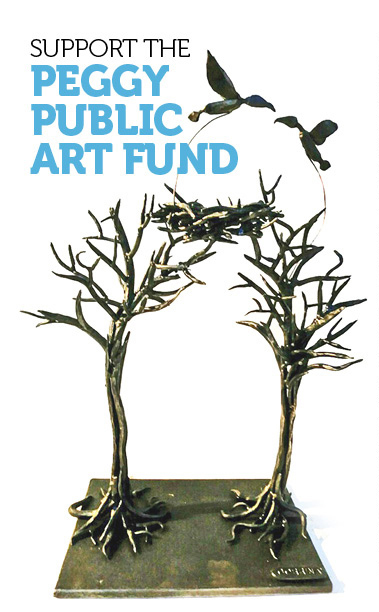 Decatur artist Larry Holland called on his network of like-minded creatives to generate these mini paintings which are installed high overhead on street poles. This gallery show is your opportunity to see some of these artworks up close and purchase something for your collection. And don’t worry, Larry has plenty more new paintings to post in their places, so enjoy the Decatur stroll and #lookupdecatur!